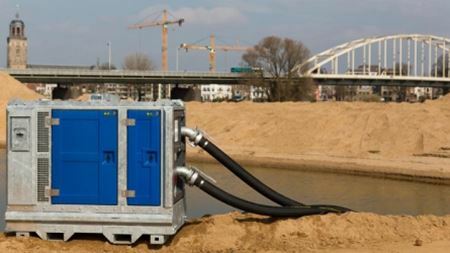 BBA Pumps announces the launch of the new BA100K - a diesel driven 4” solids handling mobile pump set. New Grundfos COMFORT PM recirculating pump uses AUTOADAPT to cut residential energy costs up to 85%. Through its Bran+Luebbe brand, SPX offers a range of highly effective PowerMon continuous and fully automatic on-line analysers. Jayanthi Iyengar has joined Xylem Inc as senior vice president and chief innovation and technology officer. Veolia has selected Italian pump manufacturer Caprari as a preferential partner for water pumping solutions under a three-year global framework agreement. Xylem Inc. has launched a new YouTube channel dedicated to its Flygt brand. Initial trial delivered a 57 percent reduction in energy consumption. EBARA held seminars on pumps under the theme “Irrigation and Drainage” on May 27 and 28, at Royal University of Agriculture in Phnom Penh, Cambodia. New variable speed pump is the only 115V VSP with a permanent magnet motor for the ultimate in energy efficiency. Pump distributor Tencarva Machinery Co LLC has relocated its Nashville, Tennessee operations to a new facility on Kraft Drive in the city. ITT showcases pump, valve and monitoring solutions for the global chemical marketplace at ACHEMA.